For the second time in six weeks, a company connected to lawyer Roy C. Skelton stood poised to profit from a Pinellas County foreclosure auction that confused even experienced real estate investors. Like the case of a gulf-front condo that sold for $458,100 in June to an unsuspecting bidder, a Largo townhouse sold for $112,300 last week to a man who thought he was bidding on a first mortgage and would own the home free and clear. In both cases, the auctions involved second mortgages and amounts far higher than what a Skelton-connected company had paid for the properties. "One of the (many) things that is so dangerous and deceptive about this scheme is that even with a formal title search, a bidder wouldn't be clearly warned about what was occurring here,'' according to a motion filed Tuesday by attorney Matthew Weidner, who represents the winning bidder for the Largo townhouse. After realizing he would not own the home outright, the bidder declined to pay the $112,300, which was due Monday. However, he will still forfeit more than $5,500 in deposits unless he can convince a judge there was a problem with the auction. Meanwhile, the high bidder on the gulf-front condo is still fighting to get back its $458,100. The Pinellas clerk's office has stopped payment on a check it wrote to Skelton's Deutsche Residential Mortgage Company and — despite Skelton's threatened legal action against the clerk — will not disburse the money without a court order. 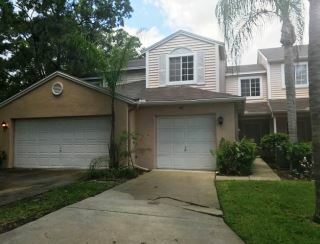 A Palm Harbor company bid $112,300 for this Largo townhome at a foreclosure auction July 21 not realizing the auction involved a second mortgage, connected to lawyer and real estate investor Roy Skelton -- and that the bank could still foreclose on the first mortgage. A hearing in that case is set for Aug. 21. Skelton, a Clearwater lawyer and real estate investor, denied any intent to deceive or mislead potential bidders. Both cases began the same way — with Skelton's Outbidya, Inc. acquiring title to the properties through homeowners association foreclosure auctions. Investors like HOA auctions because they typically can take title for much less than the property is worth and rent it out until the bank eventually forecloses. As the Times previously reported, Outbidya, Inc. paid $157,800 two years ago for a unit in the Ram-Sea condominiums in North Redington Beach. But shortly after Wells Fargo began foreclosing on the first mortgage, Skelton incorporated Deutsche Residential and issued a second mortgage to his Outbidya. Earlier this year, Deutsche said Outbidya had defaulted, and obtained a final judgment of foreclosure. At the auction in June, John and Christine Houdes' Orlando Realty Group submitted the top bid of $458,100 for the condo. Through their attorney, the couple has accused Skelton's company of "hijacking" the Wells Fargo proceedings to make it appear the bidding would be on a first mortgage. Had that been the case, Orlando Realty Group would have owned the condo outright and Skelton's company would have gotten nothing. 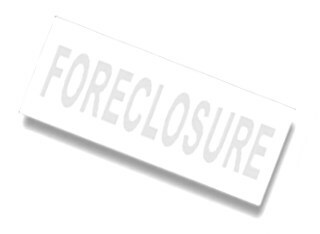 Instead, it was able to beat the bank to foreclosure and could potentially reap almost the full $458,100. A similar sequence of events played out over the Largo townhouse. Last year, Skelton's Outbidya paid $20,100 at a homeowners auction for title to the townhouse off Ulmerton Road. Barely a week after the lender began foreclosing, Skelton's First Florida Residential Mortgage issued a second mortgage to his Outbidya. First Florida then claimed that Outbidya defaulted on the mortgage, and in May got a final judgment of foreclosure for $100,391. But First Florida never received court approval to become a party to the first mortgage case and thus had no legal right to foreclose on its second mortgage as part of that case, Weidner's motion says. The motion seeks to invalidate the sale and return the deposit to the high bidder, Dream Homes & Creative Renovations of Palm Harbor. Neither Dream Homes, incorporated by Enas Al Titi, nor the runner-up who bid $112,200, David Wonsick, could be reached for comment. Records indicate that both men are experienced investors. Dream Homes owns three non-homesteaded properties in Pinellas. Wonsick, a real estate agent, has been involved in scores of transactions under the names Wonsick Holdings and DW Homes, Inc.. Despite cries of foul, the Pinellas clerk's office says there's not much it can do to block allegedly questionable foreclosure auctions. "We are bound by what final judgment says. The role of the clerk is just to hold the sale," said Rod Tabler, the office's senior manager of civil court records. "I don't know if legally they (Skelton-connected companies) are doing anything wrong. Yes, it looks suspicious but the court would have to determine whether they're doing something that may be fraudulent."